After we wrote 10 Hemp Projects in Latvia You Should Know About, we decided to dig deeper and expand our research to all of Europe. We started listing the projects we know, and then we add other hemp businesses, services, museums, organizations, farms etc. that we found during our research. If you are a hemp enthusiast or if you are simply curious about hemp projects in Europe, keep reading we made this list for you! The Hemp Embassy Vienna: An organization "open to anyone who wishes to learn about cannabis". Hempmade: An eco-clothing store with a special focus on hemp fiber. Póbetlsch-Gle: A research center that holds "one of the very few cannabis reserach license in the world". Eco-Cannabis: A farm growing industrial hemp. CannaBio: A company that grows and produces hemp products. Bohempia: Shoes, clothing and acessories made with hemp. Hemp Copenhagen Co.: High-quality baby textiles and other textiles made of 100% (organic) hemp. Tammejuure Organic Farm: The most famous hemp farm in Estonia. Saana ja Olli: A designer couple producing 100% hemp textile collections. La Maison du Chanvre: A hemp shop in Lyon selling various hemp products. Ferme du Clos Berteaux: Hemp farm based in L'Échelle. Le Cannabiste: A magazine whose purpose is to communicate and inform mainly about cannabis. Hanf Museum Berlin: Hemp museum based in Berlin. Hanf Magazine: Print and online magazine dedicated to cannabis. Cannafreeze: Ice creams made with hemp: 100% free THC. Balkannabis Expo: International conference dedicated to hemp and medical cannabis. Cannabis International Poster Exhibition: Cannabis-related posters exhibition. Dynamite: A company that sells hemp & snails fish bait. Dublin Hemp Museum: A museum dedicated to the history of cannabis in Ireland. The International Hemp Building Association (IHBA): An association which aims to "develop, promote and supports the sustainable production and use of all hemp-based construction materials and by-products." The Hemp Kitchen: Organic and vegan food and drinks made with hemp. Museo della canapa: A museum of hemp that collects "traces of material culture, multimedia testimonies, stories and interpretations of hemp in various contexts." Italian Cannabis Business School: A school that aims to prepare students for the cannabis market. CanapaCruda: A handmade hemp paper shop. They also provide hemp paper workshops. Kanèsis: A hemp 3d printing e-commerce company. BeLeaf: A magazine specialized in cannabis culture. Canapa Nostra: A hemp movie documentary. Kanapinė Krautuvė: A hemp shop located in the heart of Vilnius. Kanapės galia/Hemp power: Organic hemp farm producing hemp tea. Kanapių kultūros draugija: An association that aims to unite all who are familiar with cannabis plant properties. Sana Hemp Juice: The only raw juice commercially available in Europe. Hoodlamb: Clothing brand using hemp. Hash Marihuana & Hemp Museum: A museum about the past, present, and future of cannabis. Van.Eko: This start-up developed a sustainable electric scooter called the Be.e made with hemp body. Hampmannen.no: A hemp shop with various hemp products, including hemp foods and hemp cosmetics. HempToday: A hemp specialized newspaper based in Lelów. HemPoland: A company that offers a variety of raw hemp products. Cannativa - Associação de Estudos sobre Canábis: An association that aims to study and disseminate information on cannabis. Cannadouro: A cannabis conference taking place in Porto. 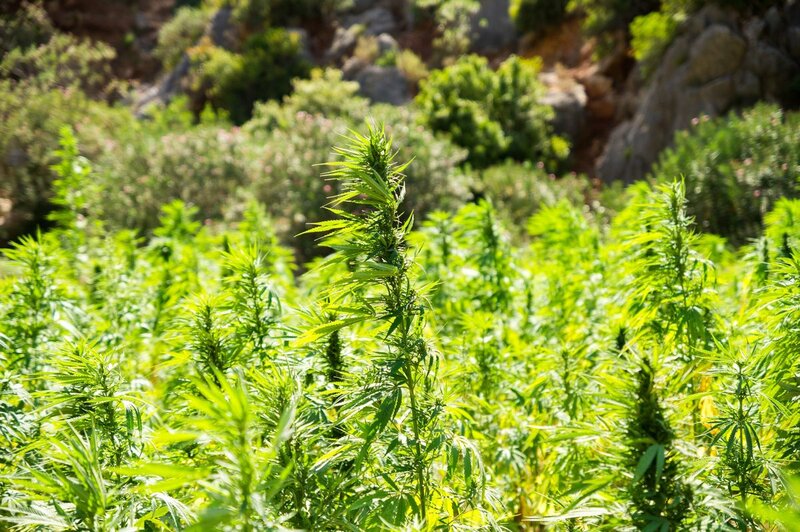 HempLife - A hemp farm located in Algarve. Cavvas: A hemp textile shop also called the "the manufacturer of the most eco-friendly hemp textiles". Revista Cáñamo España: Spanish magazine dedicated to the cannabis culture. Expocáñamo: A hemp culture fair with many conferences, concerts, shows, and workshops. Hampvaruhuset: A shop specialized in hemp as an isolation material, and hemp textiles. CannaTrade: Europe's oldest hemp fair. Cannamedia: A consultancy company based in Zürich. Hempire UA: Kiev-based company specialized in hemp building. The Hemp Shop: From clothes to food, paper, rope, fabric you can find anything made with hemp in this shop. UK Hemp Association: An association that works to develop industrial hemp in the UK. UK Hempcrete: A natural building company specialized in the use of hempcrete. If you know other projects in Europe, feel free to add their name's and contact info in the comments.